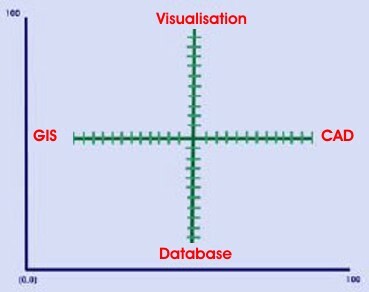 Jeff uses four elements of functionality in his comparisons; GIS, CAD, database and visualisation. It is a novel approach because at least in my GIS world, these are the for major tenets. Jeff did a pretty good overview of major software and he’s planning on continuing the comparison so you’ll want to check back on his blog.